Stratodesk’s NoTouch Desktop software is the endpoint OS, management and PC repurposing software that runs on both x86 and ARM/Raspberry Pi based devices, including the Citrix Ready Workspace Hub. 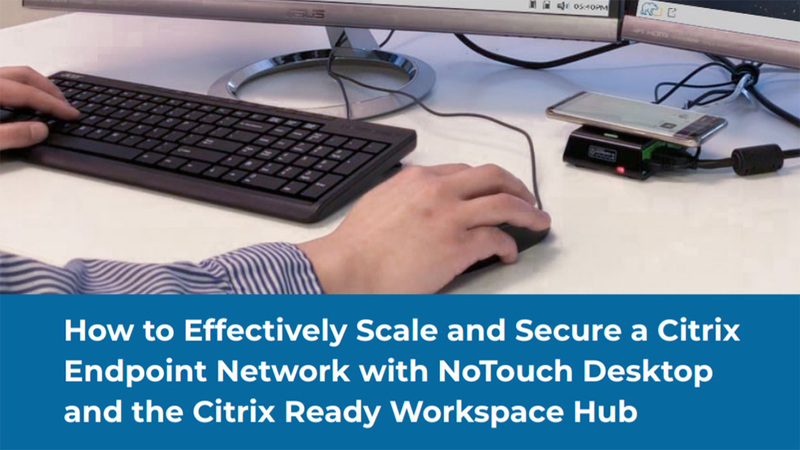 Thanks to its ability to repurpose existing hardware coupled with the integration of the low cost, high performance Workspace Hub, NoTouch provides an all-in-one solution for organizations to effectively scale their network of endpoint devices in their Citrix VDI. Download this white paper to explore effective strategies for organizations looking to expand their Citrix VDI while cutting costs and increasing security and performance.